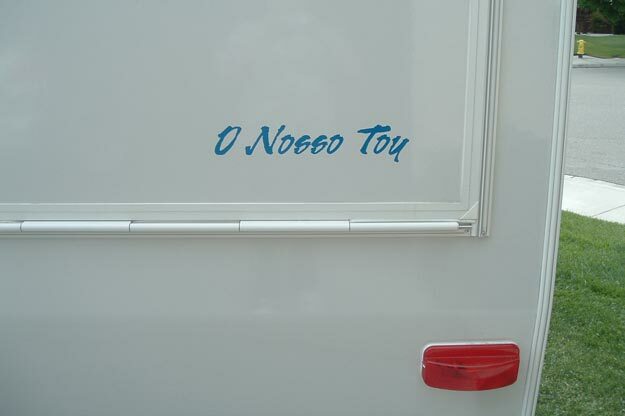 Vinyl Lettering Use: I used your lettering to personalize our new travel trailer. Mom was diagnosed with recurring cancer. She is better now after the surgery. She always wanted a travel trailer of her own. So I got her a new one. As soon as she saw it in our driveway she started crying and said "O noso Toy". It's part Portuguese and English. It means (Our Toy). Thank you very much for helping make my Mother happy.